One and two year forecasts across the occupations and regions, extending out to five-years. 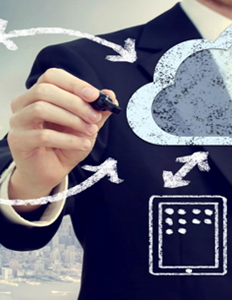 Today, digital transformation continues to radically change the face of business in Canada. ICTC’s Outlook Forecast provides insightful reports that outline important priorities over the next number of years. Rapid expansion of new technologies such as Internet of Things, social, mobile, apps, analytics, cloud, and automation technologies across all sectors of Canada’s economy are increasing the demand for adaptable, innovative workers with information and communications technology (ICT) and more broadly science, technology, engineering, and mathematics (STEM) backgrounds. To increase the supply of ICT and STEM workers, it is important to engage all available talent, especially Indigenous peoples. Canada’s Post-Secondary Education Stream – To better understand the supply-side dynamics of skilled ICT talent, this study concentrates on: (a) the supply flow of talent from Canada’s post-secondary education system, and (b) labour market intelligence outlining the way forward to enable better decision making by the private sector, education system, policymakers, and all Canadians for a more productive, innovative, and globally competitive Canadian economy. The fourth in a series of labour market reports issued by ICTC since 2008. The report is wholly new and more comprehensive than its predecessors. Providing a comprehensive array of fresh data on the state of HR for ICT employers along with an informed projection of the ICT landscape five years from now and recommendations on steps the sector can take today to address key areas of concern, Outlook 2011-2016 was developed to serve as a tool for action for the entire spectrum of Canada’s ICT stakeholders. Based on survey data and ground-breaking analysis by leading Canadian experts, ICTC’s Outlook on Human Resources in the ICT Labour Market: 2008-2015 is the first national and regional analysis and forecast of Canada’s need for skilled ICT workers. A regional analysis of the major drivers of Information and Communications Technology (ICT) (such as ICT spending, technological adoption, and globalization), is combined with a forecast by major occupational groups, major ICT functions, and skills. 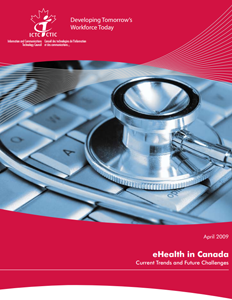 The critical issue facing the eHealth industry in Canada is labour. Vendors are not able to bid or deliver on business opportunities because they are unable to secure the human resources and eHealth projects are being delayed or cancelled or, are being offered to vendors outside of Canada because of human resource shortfalls.